Inspired by the mid-century style of Scandinavian modern designers, the Lex pendant features stretched fabric over a wire frame. The effect is like a floating cloud. Available in a 21″ Diameter x 11 1/2″ High large version (shown) or as a 16 1/2″ Diameter x 9″ High small version. 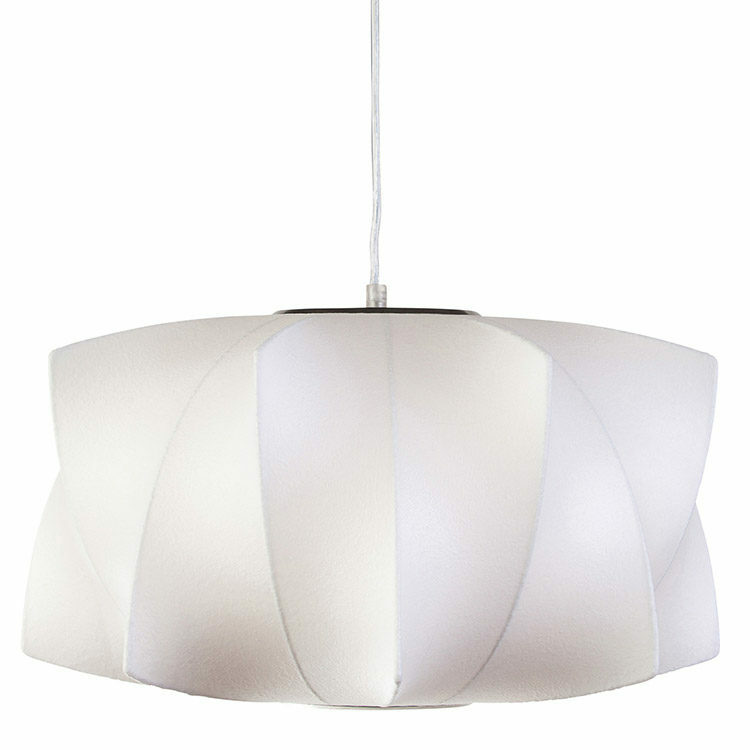 Shade diffuses light from one up-to-100 watt standard base bulb. Lex is designed for installation to a standard ceiling junction box; canopy included.